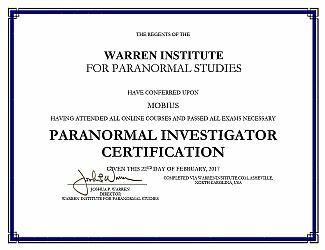 ONLINE PARANORMAL INVESTIGATOR CERTIFICATION COURSE Invest in YOURSELF. > Joshua P. Warren teaches you through five in-depth, prerecorded classes you can stream on your computer, smartphone, or tab, on your own schedule. After you complete the entire course, you will be sent a test to be personally graded by Professor Warren. 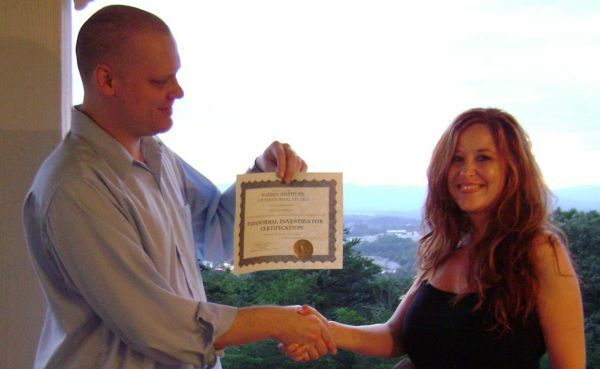 If you pass the test you will be emailed a nice, frame-able certificate you may print, qualifying you as a "Certified Paranormal Investigator." Since this course was originally taught online live, you will also enjoy Warren's Q&A sessions with students from around the world. You will learn about the different types of ghostly phenomena, how they manifest, and how they relate to both animate, and inanimate material and figures, including animal spirits, phantimals like "Bigfoot," inter-dimensional beings, and what some call "angels" or "demons." You'll also learn helpful techniques to clear a place of ghostly or spiritual phenomena and the psychomanteum technique for those who want contact. 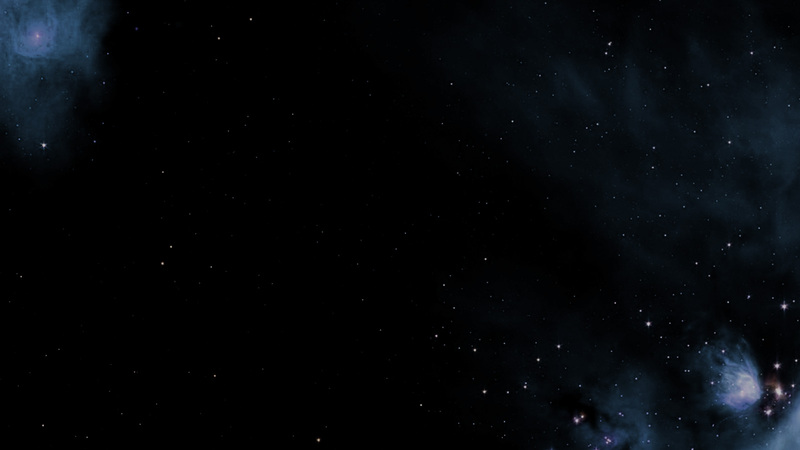 You will learn how to analyze aerial phenomena and tell whether or not you are witnessing an ordinary object, an exotic military technology, or true "alien" technology, and how such strange beings might relate to the general study of extraordinary creatures. The mechanics of "flying saucers," and how they might shift time/space include a vast array of truly bizarre technologies. Through valuable exercises, you will learn how to use your bare senses as "psychic" investigation tools, how to project your thoughts and bio-field to affect the world through "The Force," and how to create paranormal activity, at will, by creating tulpas. Wands, dowsing rods, and radionics will also be covered, including what ancient magicians call "The Single Most Powerful Spell in the World." Whether you want to investigate full-time, or part-time, you'll be delighted to earn money with your work. Joshua will teach you how to turn your passion into a career if you want, and start earning money immediately, and ethically, in the paranormal field. Once you become Certified, you will earn the title "Investigator," be eligible to enjoy advanced opportunities, and perhaps even go in the field to conduct investigations, around the world, with Warren and his team in-person. Once you purchase your enrollment, you'll instantly receive an email from Joshua P. Warren with links to watch the classes online. You can also purchase this education as a gift for a loved one. Enroll now and join the team! "It was a pleasure taking Joshua P. Warren's online paranormal course. In a busy world, it was nice knowing I had the option of flexibility to study a subject that I'm so passionate about. Joshua's vast knowledge of the paranormal makes listening fun and engaging. Thanks again!" "The way you taught the class was both professional and caring. I wish all my teachers were more like you! Any questions I had, you answered them before I could ask. As a student I couldn't have asked for a more knowledgeable teacher. You definitely left me open to taking any classes you may have in the future. Thank you!" "If you want a sound education and on-going support from someone well-respected in the paranormal field, you need to take Joshua Warren's course!" You can buy this for yourself or as a gift for someone else.